1.1 What are decorated eggs? 1.2 How do you empty an egg? 1.3 How to paint eggs? 1.4 How to finish decorating after painted? 1.5 What other decorative items can be made with painted eggs? 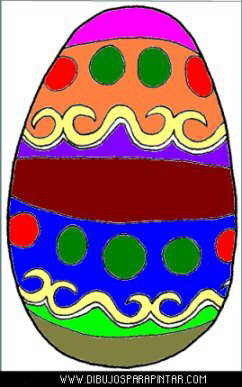 Decorated eggs are used liberally during the celebration of Easter. Painted Easter eggs can be done using full or emptied eggs. To paint Easter eggs, you have to keep in mind that it is best to use only the shell. Thus, they can be painted regardless paint toxicity since we previously have emptied their contents. How do you empty an egg? First, make a hole with a needle at one end. Then, with the tip of the needle, remove a little shell to make the hole bigger. Make a small hole with the needle on the opposite side. Turn the egg and empty it well by blowing through the smaller hole, so that its contents fall into a glass. The inside of the egg can be eaten as food. If we wish to eat them later, we will use paints without toxic components. Paint brushes must be different in size and we will also choose different colors: tempera, markers, felt tip pens, etc..
For more healthy and appropriate colors you’d better go to a health food store specialized in crafts. How to finish decorating after painted? Once painted, they can be decorated with different materials. With wool, cardboard, cloth. In this way we can shape them with animals, people, fruit, etc. What other decorative items can be made with painted eggs? With decorated eggs, you can do many crafts. For example, once you have painted several empty eggs, you can make a mobile with Easter eggs. In this way, you also will take the opportunity to decorate the room once Easter holiday has passed.